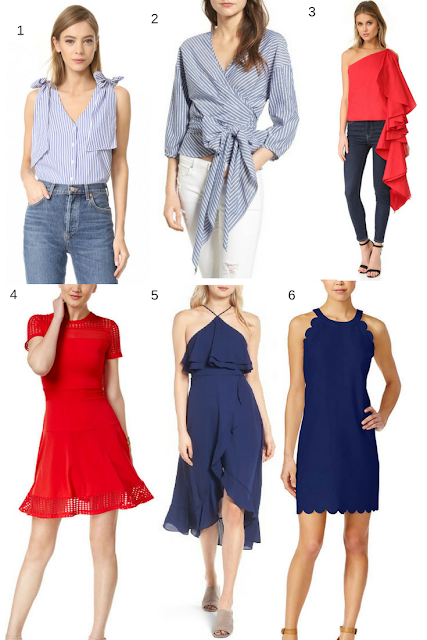 I've picked out some fun festive pieces for Fourth of July! And they can be worn many different ways. My favorites are the red top and the halter dress. What a lovely selection!! The first one is my favourite!! Love all of them, especially that ruffle top. So cute!